Different approaches to the same biographical subject. 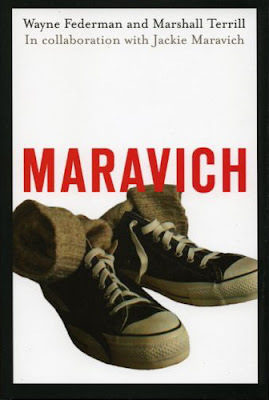 Which draws you in more: the photo of Maravich, or the floppy socks and Chuck Taylors? I prefer the cover with the photo, but I don't like how the title is uncomfortably almost right up against the guy's throat. Could the text have been better placed? 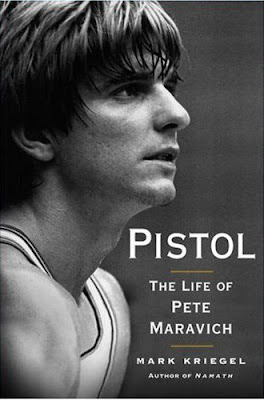 I kind of wish the Pitsol book was named 'Pete', but i do like that cover better.